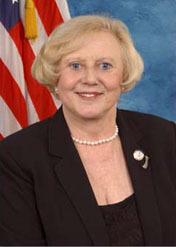 Legislative aide and state legislator elected to US Congress for four terms beginning in 2003, succeeding Karen Thurman. Conservative Republican; anti-abortion rights, anti-gay rights, pro-death penalty, pro-gun rights, anti-net neutrality. Supported 2005 Central American Free Trade Agreement (CAFTA), 2006 Secure Fence Act; opposed 2008 GM/Chrysler bailout, 2008 Wall Street bailout, 2010 health care reform; did not vote on 2009 economic stimulus. Did not run for re-election in 2010, citing health concerns, and succeeded in Congress by Richard B. Nugent.